According to business consultant and hiring expert Scott Wintrip, author of High Velocity Hiring: How to Hire Top Talent in an Instant, most companies operate under a broken hiring system, and they may not even realize it. Use a hiring team to avoid making bad hires. Even the best interviewers routinely overlook crucial details during the interview process. This may prompt them to hire employees who don’t perform as expected and cripple the company over time. Hiring a team can solve the problem. Make the most of referrals. 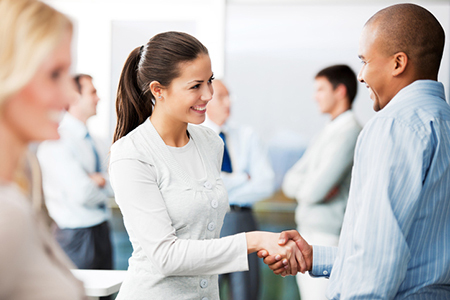 Word of mouth is a great way to find talent and fill open positions in your business. Ask for referrals among all your networks, including vendors, former coworkers in good standing, present coworkers, fellow business owners, and friends and family. Investing just a few minutes each day in referral recon pays off in dividends. Don’t hesitate to make a quick phone call or send a short email to anyone you think might know someone great. It takes almost no effort and could result in new talent for your company!